Whether your goal is to lose weight, gain muscle or achieve optimal performance in your sport, your diet requires fat. If you are a newbie to health and fitness you may be confused on which fats are good for you and which fats are bad for you. In general, saturated and trans fats are bad for your health and unsaturated fats are good for your health if you do not exceed your dietary requirements. The Harvard School of Public Health explains that there are two types of healthy unsaturated fats: monounsaturated and polyunsaturated fats. Scientifically speaking, the University of Illinois explains that monounsaturated fats have a single unsaturated chemical bond. Monounsaturated fatty oils are liquid at room temperature but can become solid at refrigerator temperatures. Like all types of fat, monounsaturated fats have nine calories to every gram. Monounsaturated fats are considered good fats because they are help protect your heart and your cardiovascular health. A balanced adequate intake of monounsaturated fats can help you reduce your risk of heart disease. The Harvard School of Public Health notes that replacing an equal amount of carbohydrates with an equal amount of monounsaturated fats can increase your HDL good cholesterol and lower your LDL bad cholesterol. Additionally, monounsaturated fats can help keep your blood sugar and insulin levels stable, which can be particularly beneficial to patients with diabetes. Despite the benefits of monounsaturated fats, there is not currently an official quantitative recommendation of how much monounsaturated fat you should have in your daily diet. The Harvard School of Public Health states that 10 to 25 percent of the calories in your diet should come from monounsaturated fat. You should substitute monounsaturated fat for saturated fat whenever you can. If you eat a 2,000-calorie diet, 200 to 500 calories or 22 to 55 grams, should ideally come from monounsaturated fats. 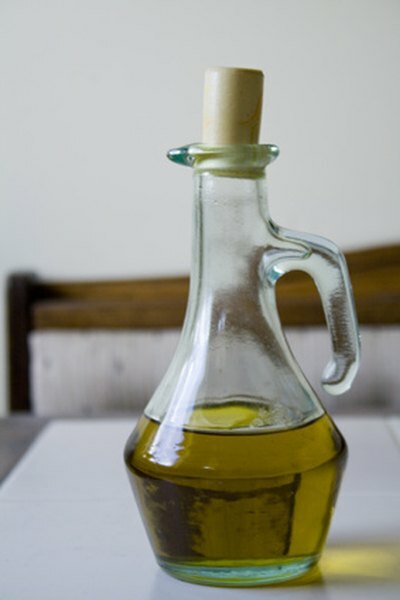 One of the primary sources of monounsaturated fats is healthful cooking oils such as olive oil, safflower oil, grapeseed oil, canola oil and peanut oil. Try to cook with these oils instead of using butter or margarine. Nuts such as almonds, walnuts, pecans and peanuts are also rich in monounsaturated fat. Seeds such as pumpkin seeds, sesame seeds and sunflower seeds have high amounts of monounsaturated fats, as well. Avocado is a fruit that has is a rich source of unsaturated fats and fatty fish, such as salmon and trout, are additional sources of monounsaturated fats.